It’s that time of year where we fill any vacant spots in our Alamo IFT Leadership Team and get ready for the 2019/2020 Elections. Nominations are deadline has been extended to January 22 so respond quickly if interested. 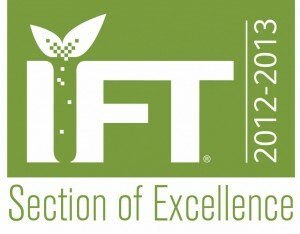 If you are looking to step up and get more involved with IFT this is your opportunity. Do you have colleagues or friends in the food industry/academia who like to network and/or lead? Are they looking for volunteer opportunities in the food science community? Nominate them (or yourself) for a leadership role in our Alamo IFT section. All the officers must be members of our section and members of National IFT when they hold office and only professional members (not students) can be nominated. We will partner with National IFT again this year for our section elections. Please let Deana Phillips (dphillips@idf.com or 210-260-8560) know if you want to be on the ballot. Thank you for the consideration!! New Professionals Co-Chair – Help drive organizing networking opportunities for new professionals. Work with student representatives to help spread the word about scholarships, internships, career and networking opportunities with industry young professionals. Continuing Education Coordinator – Assist in planning monthly lunch-n-learns with our members including speakers, securing sponsorship for event & venue. The Culinary Institute of America in San Antonio.